Peter Reeves Jewellery hosts jewellery workshops in Devon, where you can make your own piece of jewellery by hand. Treat yourself to an engaging and creative day out and leave with handmade jewellery designed and created by you. Give your creations to friends or family, or treasure it forever as a token of your own originality and inspiration. Peter Reeves Jewellery's workshop has a welcoming atmosphere where hands-on skills are developed in an informal and relaxed way. 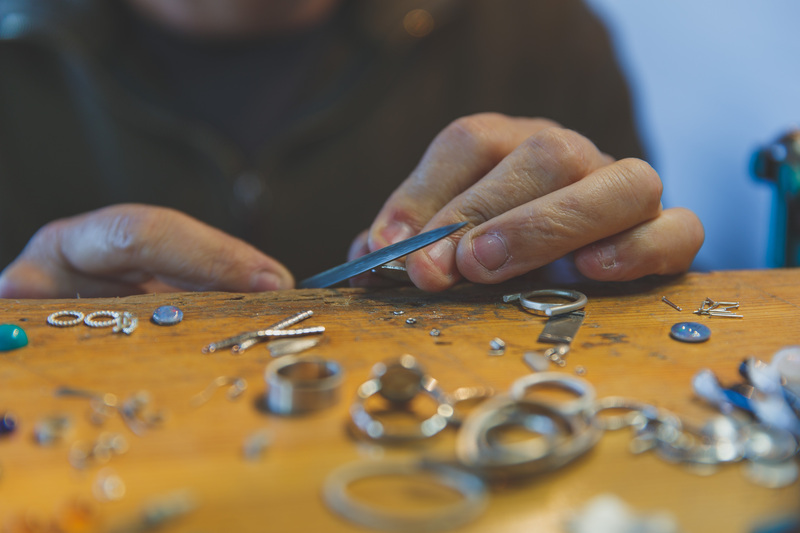 Our workshops are a great way of learning about the basics of jewellery making, allowing you to pursue further classes, projects, or personal development at a later stage. Expand horizons and gain new skills with Peter Reeves Jewellery. Craft a precious piece of metal jewellery with the use of tools and specialist techniques and gain experience and knowledge of the art of jewellery making. The workshops involve interactive learning and direct practise with materials. In the mornings, we use copper to practice with, creating a lovely ornament to take home with you. In the afternoons, silver and gold are used to make real pieces of stunning, bespoke jewellery.